The mining of heavy minerals from sand dunes along the east coast of South Africa is a controversial issue. We report a field experiment that was conducted on backfilled land at the Hillendale mine in northern KwaZulu-Natal, South Africa, to test the effect of filtercake (FC), a locally available source of organic matter, to soil and its ability to support sugarcane growth. Five treatments were evaluated including FC applied at 10, 30 and 100 Mg ha−1. In two other treatments, inorganic fertilizer (IF) was applied alone (without FC) to the reconstituted soil at the recommended rate and at three times the recommended rate, as based on the fertility status of the reconstituted soil. Sugarcane was also grown in an adjacent unmined area in disturbed soil used for cropping. In agreement with fractional light interception, yield of the plant crop on the unmined area (77 Mg ha−1 year−1) was better than on the reconstituted soil treated with IF (59–67 Mg ha−1 year−1) and FC (22–39 Mg ha−1 year−1). Stalk length, rather than tiller number and stalk diameter, was the most important contributor to these yield differences. Based on foliar nutrient content, poor yields in all treatments could be attributed to Fe toxicity caused by oxygen deprivation in the reconstituted soil. In the FC treatments, yields were worsened by N deficiency resulted from immobilization of N. These unexpected outcomes clearly have implications for the efficient rehabilitation of formerly productive agriculture land in the wake of mining locally and worldwide. We thank Tronox KZN Sands for providing the funds and technical support to conduct this study. Erasmus, J. 2013. Amakhosi and conservationists in KZN face off over dune mining. Mail and Guardian http://mg.co.za/article/2013-02-07-amakhosi-and-conservationists-in-kzn-face-off-over-dune-mining. Accessed 7 Nov 2013. Fenton, G., and M. Conyers. 2002. Interpreting soil tests for calcium, magnesium and Ca:Mg ratios. Leaflet no 7. (NSW Agriculture: Orange) http://www.dpi.nsw.gov.au. Accessed on 28 Feb 2008. Haigh, M., Reed, H., D’Aucourt, M., Plamping, K., Cullis, M., Woodruffe, P., Sawyer, S., Panhuis, W., Wilding, G., Farrugia, F., and S. Powell. 2013. Effect of planting method on the growth of Alnus glutinosa and Quercus peracea in compacted open-cast coal-mine spoils, South Wales. Land Degradation and Development. doi: 10.1002/Idr.2201. Moore, P. 2011. Heavy minerals. International mining. pp. 60–68. http://www.infomine.com/library/publications/docs/InternationalMining/Moore2011b.pdf. Accessed 7 Nov 2013. Odendaal, N. 2011. Exxaro takes in rehabilitation lessons from Hillendale as mines closure nears. http://www.miningweekly.com/article/exxaro-takes-in-rehabilitation-lessons-from-hillendale-as-mines-closure-nears-2011-11-25. Accessed 3 Nov 2013. Ridge, R. 2013. Fertilizing for high yield and quality sugarcane. 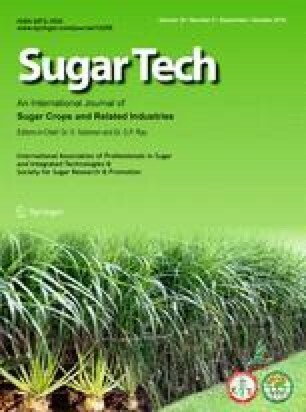 International Potash Institute: Horgen http://www.ipipotash.org/udocs/414-ipi-bulletin-no21-sugarcane-2013.pdf. Accesses 15 Nov 2013. SASRI (South African Sugarcane Research Institute Association). 2010. Information sheet. Variety N41. SASRI, Mt Edgecombe. pp. 1–2. http://www.sasa.org.za/Libraries/Variety_Information/N41.sflb.ashx. Accessed 7 Nov 2013.